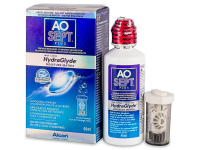 AO Sept Plus HydraGlyde solution is available in a 90ml travel bottle. The solution also contains the special lens case containing the AO Disc catalysing agent necessary for effective cleaning. 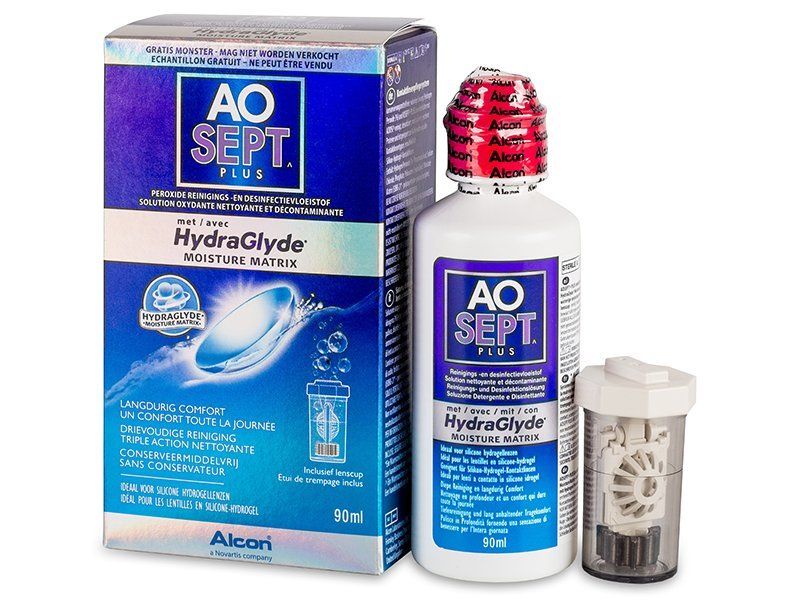 AO Sept Plus HydraGlyde is a peroxide-based solution intended to disinfect all types of soft contact lenses. The unique HydraGlyde moisturising agent provides all-day moisture and comfort while wearing lenses. This special solution is packaged with an antibacterial case that contains the catalysing agent, AO DISC, which is necessary for the effective operation of the cleaning process. Each package contains a special contact lens case and a 90ml bottle of solution containing the HydraGlyde moisturising agent. Really like this solution. Keeps my lenses well hydrated. Lenses are always fresh after using these. Thank you for leaving a comment Stephanie. At this time, we do not ship to Australia.